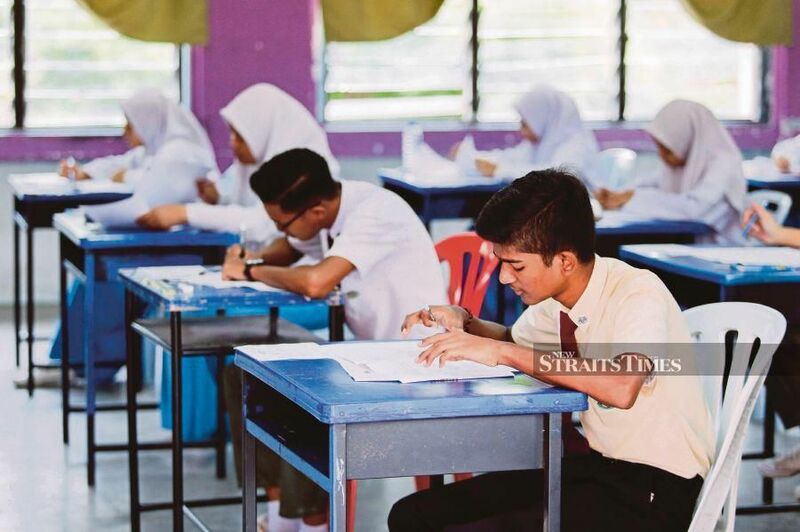 THE Malaysian Examination Syndicate must be lauded for making adjustments to its initial proposed Sijil Pelajaran Malaysia timetable this year to accommodate the views of stakeholders. It reduced the number of daily papers and spaced out more taxing subjects. This move is most welcome. There is, however, another aspect that needs looking into. SPM is from Oct 14 to Nov 28. In essence, it begins 1½ months before the year-end holiday starts. As a former school head, I think having SPM encroach on the school term is disruptive. When SPM is on, some teachers are required to leave their schools and be invigilators in examination centres in other schools. Most teachers teach more than one form in a school. This means that other classes won’t have teachers. Relief teachers won’t solve the problem as there are too many periods to replace. Not all schools have examination halls, therefore some exams are conducted in classrooms. Sometimes even the school hall is unable to accommodate all the students, so extra classrooms are allotted. The regulations governing seating arrangements of candidates require more than a classroom to seat all candidates from a class. So, a school with six Form 5 classes may need at least eight classrooms to accommodate the candidates. In addition, you need a standby quarantine room and sick bay. Also, if a few classrooms in a block, whether single, double or three-storey, are used, the block has to be declared out of bounds. With these constraints, schools have no choice and are given the discretion to allow some classes off on rotation. Anticipating teachers and classrooms shortage, schools will have to conduct their year-end examinations for other forms well before SPM. So all “necessary teaching and testing” has to be done earlier. At about the same time, we have the Form Three classes that have finished PT3 (Pentafsiran Tingkatan Tiga) earlier. The ideal is that they are engaged in extracurricular activities. While it cannot be denied that some schools try to implement this, there are exceptions. Once again, we don’t have teachers teaching only Form Three classes. The proposal is good on paper as most Form Three classes “disappear” after PT3 and long before the school term draws to a close. Beginning SPM six weeks before the school term ends will aggravate this. While SPM is on, the rest of the school is off. This sounds alarming, but there is truth to it. I understand and support the decision to move exams away from the flooding season and I sympathise with candidates who have to sit their exam in a flood environment. Close the school one month earlier to allow SPM to begin during the year-end school holidays. “Recover” the “lost” one-month school term by opening the new school year one month early. This means opening a new school year in December instead of January. The floods may impinge on this plan, but it is regional, not national as in the case of SPM, and schools are positioned to adjust school days so that no schooling days are lost. This entry was posted on Wednesday, April 10th, 2019 at 7:17 pm	and is filed under SPM. You can follow any responses to this entry through the RSS 2.0 feed. Both comments and pings are currently closed.